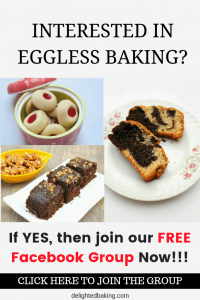 If you are a chocolate lover, then this recipe is for you! If you are a nutella lover, this recipe is for you! It’s time for summers now and summer is synonymous to chilled drinks, smoothies and shakes. Summers are great for making smoothies and milkshakes. Chocolate milkshake is another popular variety of milkshake. A simple chocolate milkshake can be prepared by adding cocoa powder, sugar and milk into a blender jar. A handful of ice cubes can be added if you like chilled milkshakes. Another quick chocolate milkshake recipe that you can try is to blend together a scoop of chocolate ice cream and a glass of milk. It tastes amazing and has a great chocolate flavor. I love recipes like this where you just have to add all the ingredients into a blender, give it a mix and there you have a chilled beverage. Especially during the summers, no one feels like cooking for a long duration of time, right? Recipes like these are perfect for summers as they get ready in a few minutes. So, today’s recipe is in the same league. It’s an easy nutella milkshake recipe BUT with a twist. We will talk about this twist later, let’s have a look at the other ingredients. We will obviously need nutella for this simple nutella milkshake recipe. Some chilled milk. Please remember to add chilled milk and not room temperature milk as that will ruin the taste. A little amount of heavy cream (just for the taste). And here comes our twist – The ingredient that makes this nutella milkshake a bit different from the other available nutella milkshake recipes. – Dark Chocolate. Yes! One of the taste enhancers of this recipe is dark chocolate. Dark chocolate gives a beautiful chocolaty taste to this milkshake. This will give you the ultimate dark chocolate nutella milkshake recipe. In case, you don’t have dark chocolate, then you can use milk chocolate also. The method is really simple. Just add all these ingredients in a blender. Blend them nicely. Pour in a glass and enjoy it! If you don’t have a blender, then also you can prepare this easy nutella milkshake. In that case, grate or powder the dark chocolate. So, instead of adding all the ingredients into a blender jar, add all the ingredients into a shaker or a a small bottle or even a mason jar. Give a nice shake till all the ingredients get mixed properly and you get a smooth textured milkshake. This recipe doesn’t include ice cream as an ingredient. 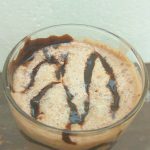 Thus you can prepare this simple nutella milkshake easily at home, without having to go to the market to buy any ice cream. That’s why, it’s an easy and quick nutella milkshake recipe. So, let’s see the reverse scenario. Maybe you want to add ice cream into this nutella milkshake recipe. Maybe you have some chocolate ice cream at home and you want to use it. In such a case, you can add a scoop of ice cream along with all the other ingredients in this recipe. You can add a scoop of vanilla ice cream in this recipe. Better option would be to use a scoop of chocolate ice cream or coffee ice cream. So, it is up to you to use an ice cream in this recipe or not. This nutella milkshake is a great option for breakfasts. You can even make this when you return from your office. You would love to drink this after a busy and tiring day. Or give it to your kids as an after school snack or along with some snacks. Add all the ingredients into a blender jar . Blend it. Decorate a tall glass with chocolate sauce/syrup. Pour the prepared nutella milkshake. Decorate with chocolate syrup or sauce .